A stress ball is a soft object about the size of your fist which can be held in your hand and squeezed to relieve stress. The stress ball works on the premise that when it is squeezed the muscles become tense and when it is released, the muscles relax. This process helps to remove muscular tension and relieve stress. 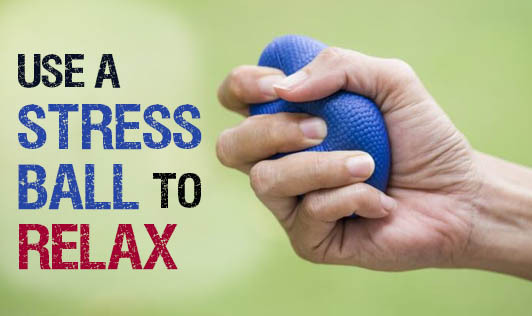 Some people believe that when you squeeze a stress ball, the nerves in your hands send a signal to your brain to release endorphins (feel-good chemicals), which help you to relax. Other benefits of using a stress ball - improved blood circulation, distraction from stress source, improved co-ordination and assistance in management of arthritis. If a stress ball helps you to reduce tension, improve your performance and relax better, there's no harm in using it. Also try taking deep breaths when you use the ball; it might give you a double benefit!